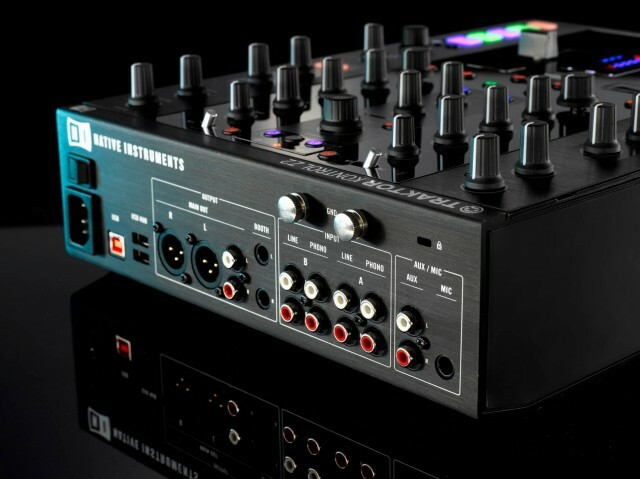 Native Instruments is continuing their hardware attack with a new device that combines three tools: controller, mixer, audio interface. Those knobs and faders control software, as an integrated controller for Traktor, but internally, the Kontrol Z2 is also a mixer and computer soundcard. 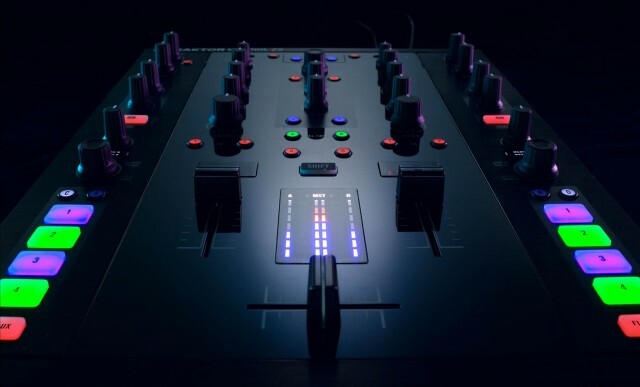 It’s geared primarily for Traktor users, of course, but with pricing under a grand and support for MIDI and audio with any software, it’ll be interesting to see if this sort of all-in-one design appeals to users of other DJ and performance tools. The Z2 is unique in that it’s a 2+2 mixer. It’s not the first combined mixer/soundcard/controller, but the 2+2 configuration, and resulting price and size, may be a bit easier for a range of users to accomodate. You can also compare NI’s offerings with Serato’s own, also announced this week. Serato/Pioneer give you four channels instead of two, and more deck controls – but that means larger, pricier hardware. And unlike Serato DJ, Traktor Pro will still work even if you don’t connect special, compatible hardware. So, while NI invests in integrated hardware, they don’t force you to use it. By being both a mixer and a controller, says NI, the Z2 hardware allows you to mix analog and digital DJ techniques. 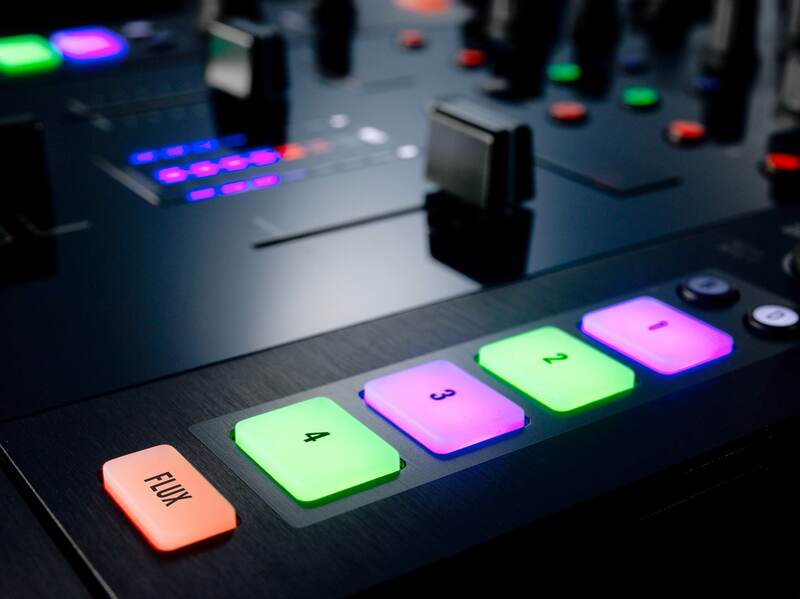 They describe it as a “hub.” Other sound cards and mixers would do the same, to be sure, but here you get one that’s fully integrated with Traktor. And that means it could be time to clear the dust off some old decks or CDJs, with Traktor and the integrated controller handling the fancier computer DJ capabilities. 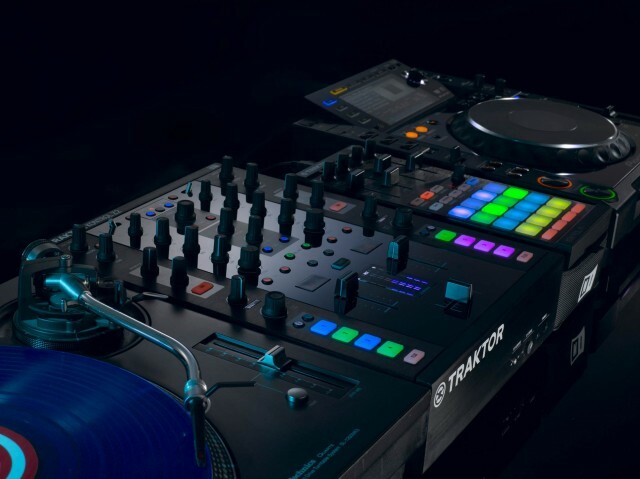 Traktor Pro software bundled (and integrated with the controller features). Two standalone mixer channels for external analog inputs – think Pioneer CDJs or turntables. Two channels from the soundcard for independent control of the Traktor Remix Decks, cue points, and effects (and, for audio signal, anything you want to route from your computer). Dedicated Remix Deck section, and Master section for Traktor file browsing, Sync and Quantize. 24-bit internal soundcard with – at last – XLR balanced outputs. USB hub – now, this is interesting (and means the “hub” moniker is literal). There are USB ports on the controller so you don’t have to use up your laptop’s precious ports or lug a separate hub. NI of course hopes you’ll plug in more of their hardware (F1, X1), but that could include other gear, too (FaderFox? Launchpad? Ohm64?). Here’s where the Z2 fits in, in NI’s view. Add your own USB hardware (NI shown here, but a hub and the software each support anything you like). And dust off a CDJ – or new CDJ2000 – for hybrid DJing. Images courtesy Native Instruments. The channel layout is set up with dedicated three-band EQ, filter, and fader section, plus rotary volume knobs. I’ll defend the two-channel, rather than four-channel / four-deck configuration: it’s still what most DJs use, and even fairly advanced DJ setups can get by with two decks and two associated channels (or even four decks and two channels, if you must). It seems a logical compromise. Unfortunately, what is missing that I would have liked to see is easy insert points for external hardware effects. You can run those out of the main output, but then, inserts can be a good reason to use a mixer in the first place. This is probably out of the realm of the Z2’s target audience, however, so take that criticism with a grain of salt. Also, it’s worth saying that the audio interface “channels” on the Z2 aren’t actually independent channels. Outputs from your computer are fed in stereo only. When you’re controlling channel operations on the audio interface side of things, you’re actually manipulating the software only. The audio business here: connect analog gear (including aux) and get dedicated cue/booth and main outs. In fact, you can use those same dedicated outs with other software, like Ableton Live. Clearly, the target market here is Traktor users. But a lot of Traktor users will do a “DJ” gig with Traktor on Saturday, then a “live” gig with Ableton Sunday. NI confirms to CDM that both MIDI and audio operation will be possible even when you’re not running Traktor. Just remember, you’ll have to do your mixing in software, not with the Z2 – the Z2 just takes a stereo main output and cue output from your computer. So, Serato is not terribly-compelling competition when it comes to opening up MIDI control. They’ve finally added third-party MIDI mapping support in Serato DJ, but still require you to use compatible hardware – which, for now, means just one piece of Pioneer kit shipping on November, and existing ITCH gear early next year. That’s not a criticism, necessarily – it’s just a different strategy. Why are users, then, complaining to NI that they’re not beefing up third-party MIDI mapping, if NI is comparatively more open? I think, put simply, the bar for NI is higher. Much of this is perception: while it’s a comparatively minor point that you can’t assign an arbitrary number of Remix Decks to your own controllers, it’s something users expect. That perception is amplified when users feel that NI instead is trying to sell them special, branded hardware. Native Instruments promises updated mapping support that will improve mapping in general, including adding greater access to the Remix Decks. And my message to NI is simple: we’ll be glad to see it. And be glad your users are this passionate: they’re people willing to do the hacking and mapping work themselves, rather than wait for NI to do it for them. So please, to NI and the rest of the industry, keep working on the tools that allow those kinds of passionate users to shine. That artist video; more feedback? Here you go: Ean Golden of DJTT takes the helm. I’m curious: what sorts of DJ rigs would you want to see tested with the Z2, or other, competing hardware? There is a new generation of DJs exploring more live performance elements and getting away from just playing records – even though “just playing records” can sometimes make a satisfying night on the dancefloor. What would your criteria be for evaluating this and other gear? What would you want to know or see tested? Let us know, and we can try to make it happen.